The Government of South Georgia & the South Sandwich Islands (GSGSSI) is pleased to announce a range of additional measures for its Marine Protected Area (MPA) which will greatly enhance the protection and conservation of the Territory’s rich marine biodiversity. 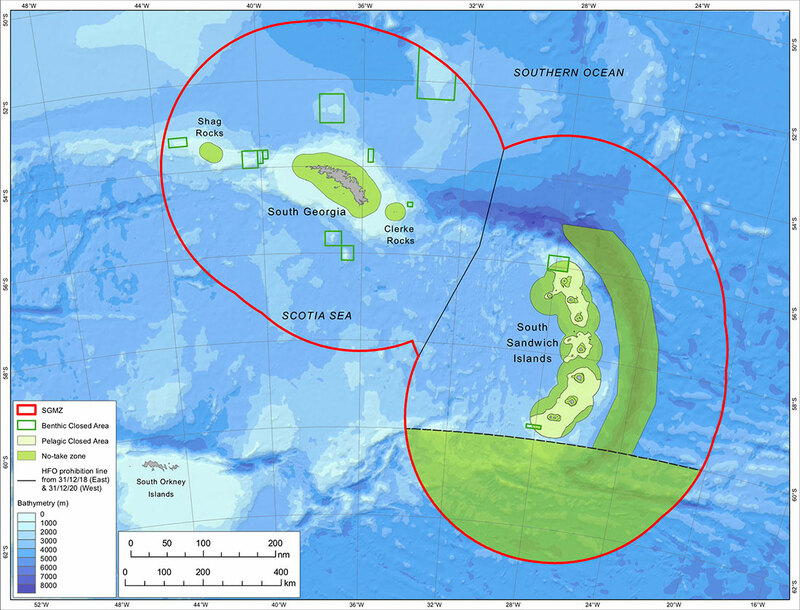 Drawing on the recommendations arising from the recent 5-yearly review of the South Georgia and & South Sandwich Islands Marine Protected Area, GSGSSI will extend the current Marine Protected Area legislation across its entire 1.24m km2 Maritime Zone. No-take zones (NTZ), which will be closed to all commercial fishing activity, will be expanded to cover 23% (284,000 km2) of the MPA; an area which greatly exceeds the size of the UK. This new NTZ network covers key biodiversity hotspots at the South Sandwich Islands and protects the globally significant and unique South Sandwich trench. In addition, a precautionary two month extension to the seasonal closure of the highly regulated fishery for Antarctic krill will limit fishing to the winter period between May and September, to reduce potential competition between the fishery and krill predators such as seals and penguins during their breeding seasons.